That's 95 pounds of gold. Money may not grow on trees, but gold can flow through sewers — at least that’s the case in Switzerland. Scientists recently determined that about $1.8 million worth of gold flows through the country’s wastewater from the refineries that process roughly 70 percent of the world’s gold. That’s approximately 95 pounds of gold stuck in Swiss sludge — an amount that scientists say, in some areas, is worth retrieving. This gold revelation is part of a larger study conducted by scientists at the Swiss Federal Institute of Aquatic Science and Technology on trace elements found in digested sewage sludge. In a paper published in Environmental Science & Technology, the scientists explain that they pulled samples from 64 Swiss municipal wastewater treatment plants and nearby rivers and found concentrations of 69 different elements. 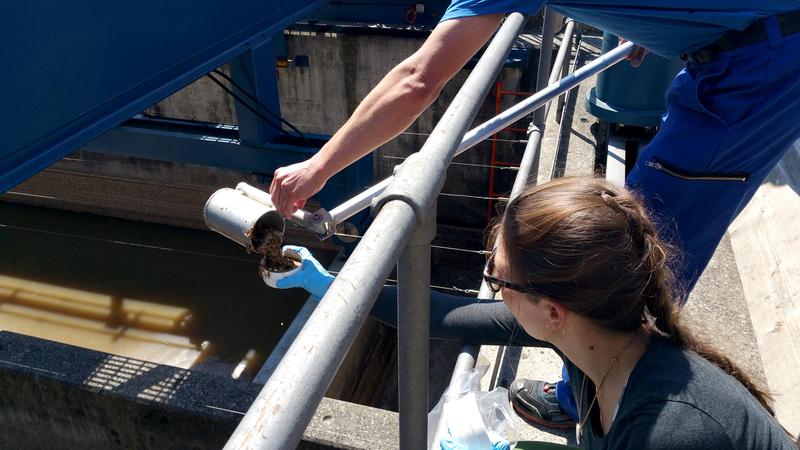 Led by environmental chemists Bas Vriens, Ph.D., and Michael Berg, Ph.D., this study is the first systematic and quantitative assessment of discharged elements found in sewage waste. Scientists pull out sewer sludge for analysis. The trace elements found are assumed to come from the waste that emerges from the country’s chemical and medical industries, as well as its several gold refineries. For example, some of the other elements found were niobium and titanium, which are used in metal alloys and coatings, as well as gadolinium, which is found in paints. Where the trace elements were identified typically corresponded to the types of industries in the region they were found — which is why it makes sense that elevated concentrations of ruthenium, rhodium, and gold were found in Jura because it is famously the hub of the country’s watchmaking industry. Further studies are needed to know exactly how trace elements will affect the environment — the surge of emissions into waste streams is anticipated to grow as high-tech consumer and medicinal industries increase their rates of production. That’s bad news when it comes to pollution and good news for anyone who wants to get in the sludge and hunt for gold. If you liked this article, check out this video of “Mr. Trash Wheel” removing 1,000,000 pounds of trash from the Baltimore harbor.